It’s one of our favorite times of year right now. Aside from being Pumpkin Spice Latte season, it’s also getting closer and closer to Halloween. That’s why we’re excited to tell you all about the most popular Halloween costumes you can shop on Etsy right now. The looks below are based on Etsy’s search trends from this year so far, and they run the gamut from vague ~concepts~ to full-on getups. 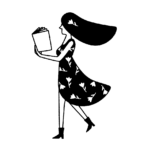 If you’re looking for something handmade and a little bit offbeat, this list is for you! Keep scrolling to find the top trending Halloween costumes on Etsy, in case you haven’t started planning yet. This mermaid yoga outfit puts a clever spin on the mermaid theme, and also makes a super cute and comfy costume. Clever, right? Get the pants here for about $66 (the top is sold separately for $48). You know we LOVE celestial patterns, and with all the ones Etsy has to offer, you can’t go wrong. 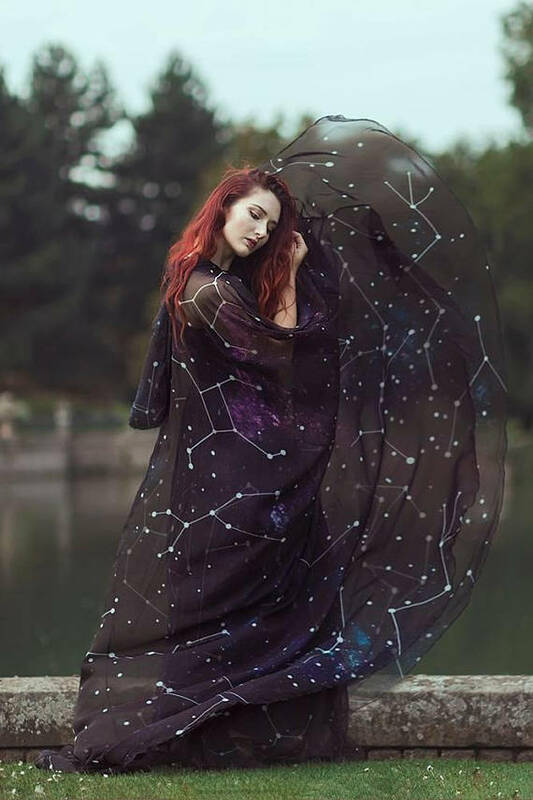 If you’ve always wanted to be your very own walking constellation — yes, please — you can opt for this constellation cloak. Get it here starting at $117.65. 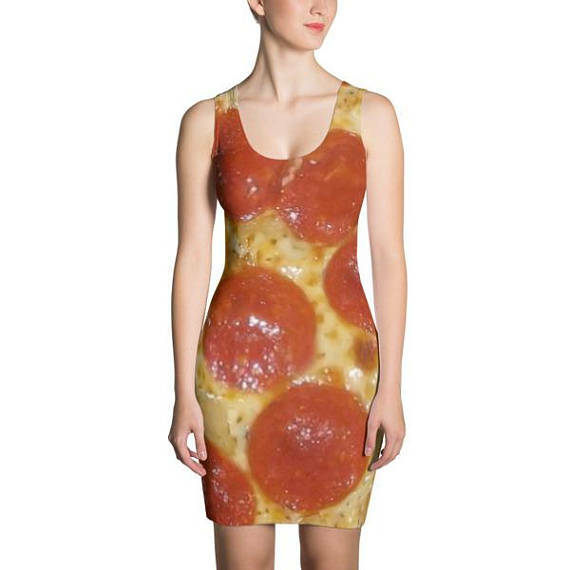 You’ll look spicy and saucy in this pizza-inspired dress! Get it here for $50. Did someone say “send in the clowns”? And who says clowns have to be creepy? 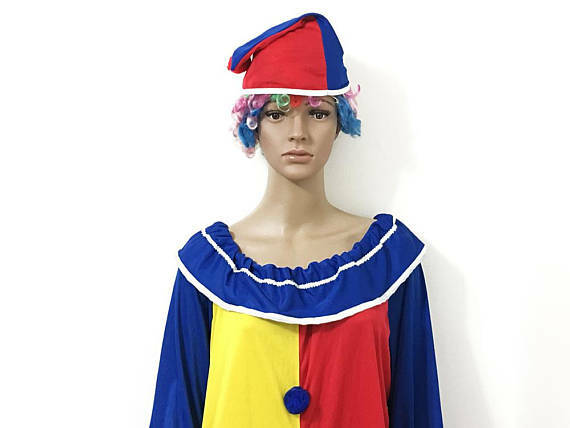 With classic vintage clown costumes like this one, the look is becoming trendy again, at least on Etsy. Old standbys always get the job done when it comes to Halloween costumes, from cats to bats to everything in between. 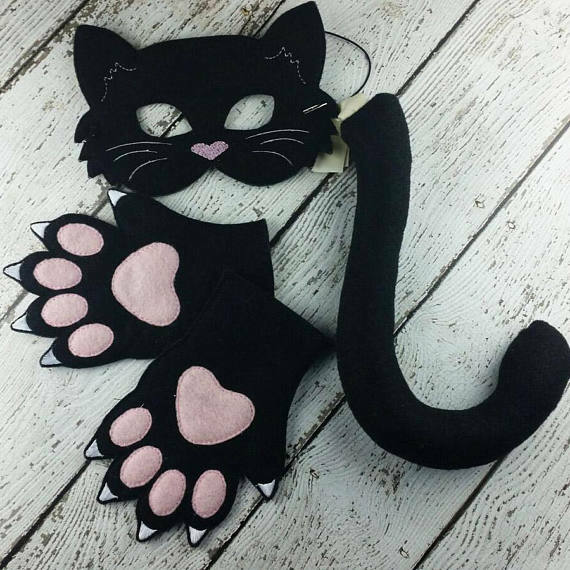 For instance, with this cat mask, paws, and tail set, you’ll be the cutest cat on the prowl. Get it here starting at $12.99. 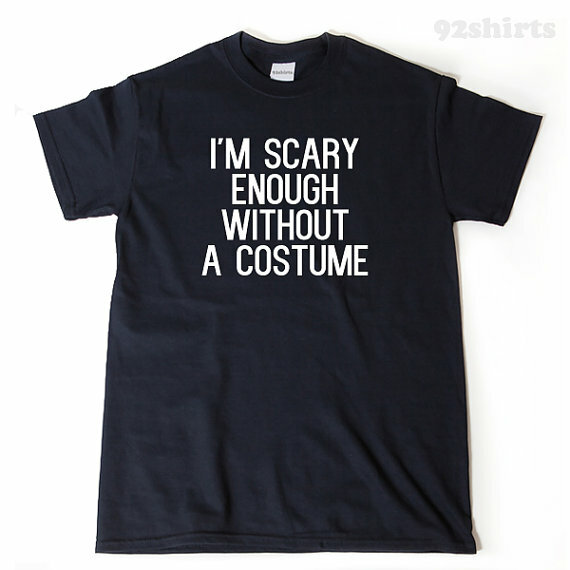 We all know people who wear a tee with some clever phrase on it and use it as their Halloween costume, and these are becoming more and more popular. Get this T-shirt here for $12.